Supplies: polyester plush, teacup cotton fabric. Pantry Supplies: Scissors, hot glue gun. First, stuff the teacup with plush. You'll want to squeeze as much as possible, making it a firm base. Then, cut out a circle about one inch wider than the rim of the teacup. 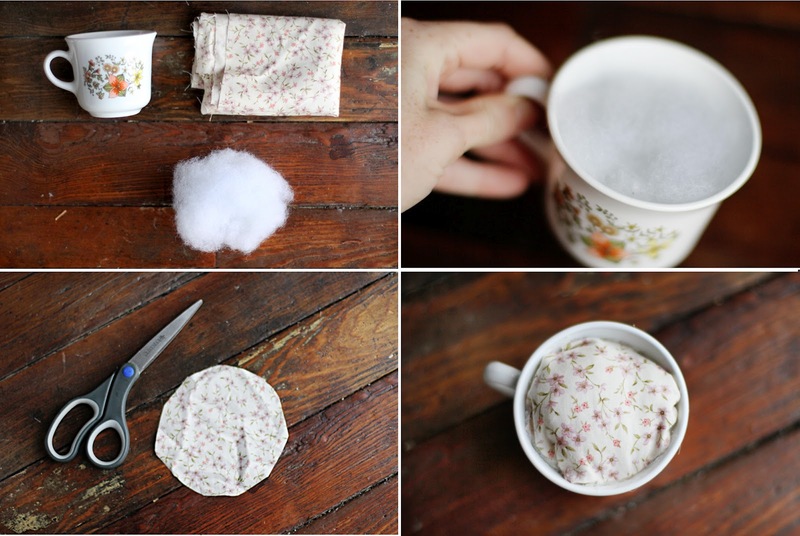 Lastly, glue the fabric to the inside of the cup, securing in the plush. I am sure all your house guests will appreciate this project as much as you do. ;) Happy crafting! would love to try this, thanks for the idea! love it! this would make a great gift for my best friend. I love this! My pin cushion is ANCIENT! It is about time for a brand new one...! This is so cute! what a great idea and so simple too. sewing cushions always come as ugly apples! this is genius! This is one of my all time favorite DIY's!!! So adorable. I love this! Such a pretty and functional way to use a teacup! This is such a lovely idea!!! What a great way to use vintage tea cups as well! This is such a good idea! I honestly never thought about this before but it's so much easier than sewing a whole pin cushion together (and a whole lot prettier) haha! I made this one time :) Really nice and easy! I love to sew now This is such a good idea! :) Thank you so much for telling us about it! Such a pretty pincushion. Seems simple and do-able too! I love it! I need to make one of these. By the way, I love the header of your blog, so simple, yet pretty. 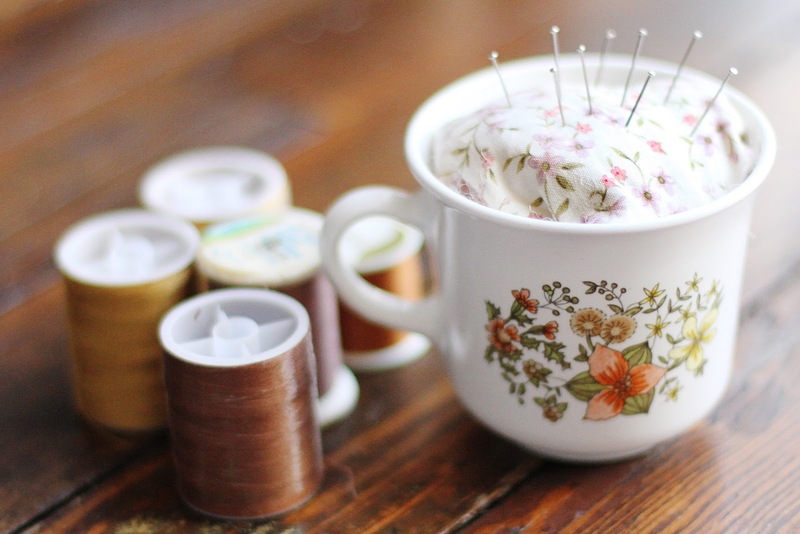 I have so many vintage teacups that could find a new use as a pin cushion!